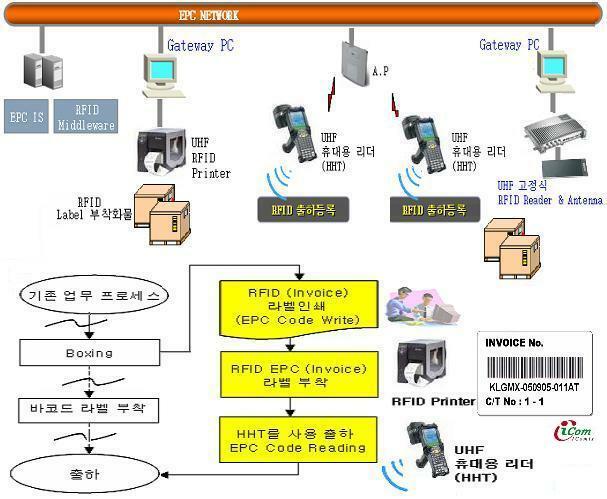 ZT410 RFID, ZT420 RFID UHF 프린터 printers feature LED조명,Link-OS,Dynamic QR, USB, Serial, Ethernet and Bluetooth® connectivity along with expanded RFID capabilities. LCD for quick printer configuration in either 203 or 300 600 dpi. The R4M Plus, the newest member of Zebra's RFID printer line, encodes information on ultra-thin UHF RFID transponders embedded in smart labels. 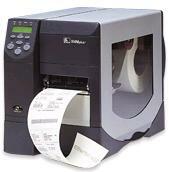 The R4M Plus verifies proper encoding, and prints bar codes, graphics, and/or text on the smart label's. Built upon Zebra’s highly regarded Xi platform, the R110XiIIIPlus is designed for high performance and mission-critical ruggedness in the most demanding environments. 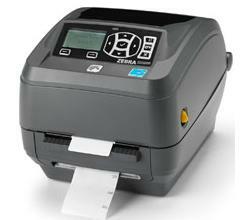 It delivers the legendary round-the-clock reliability and heavy-gauge steel durability of Zebra’s high-performance Xi series as well as full 4-inch print width, 203-dot per-inch resolution and the extensive connectivity choices of 110XiIIIPlus, making it ideal for shipping, warehousing, and manufacturing. The R110XiIIIPlus supports both Class 0 (read-only) and Class 0+ (read/write) Matrics tags. Featuring an integrated Matrics Class 0/0+ RFID reader/encoder, the R110XiIIIPlus offers end users significant flexibility in tag placement and label size. Built on the solid, tested XiIIIPlus platform, R170Xi for six-inch labels --offers an unprecedented level of on-demand printing flexibility in tag placement as well as unique features such as XML for seamless integration into enterprise systems, automatic calibration, flexible inlay positioning, multiple power levels, statistics tracking, easier RFID programming and more detailed information through the front panel display. The R170Xi features the ThingMagic RFID reader module which offers the flexibility needed to guarantee a simple, cost-free upgrade path to emerging RFID protocols. The R170Xi supports currently available protocols, including EPC Gen 1 Class 1, EPC Gen 1 Class 0, EPC Gen 2 Class 1, Matrics 0+, ISO18000-06, and Philips UCODE 1.19. Because the printer/encoder is firmware upgradeable to support new protocols, users are assured that they can seamlessly upgrade to future RFID protocols as needed.. The Zebra R 2844 is an excellent choice for desktop direct thermal/thermal transfer printing as well as desktop RFID encoding. The R 2844 is idea for wristband, smart labels and RFID tags for smaller items such as in the pharmeceutical and healthcare industries. The R 2844 features a range of interface choices and supports the 13.56 MHz HF RFID range. Choose the Zebra R 2844 for all your desktop RFID needs!. The multi-function PM4i printer gives you the reliability, ruggedness and performance you have come to expect in a barcode printer from Intermec, along with the latest RFID technology in the same box. The PM4i printer integrates into industrial manufacturing, warehouse, and logistics applications ensuring all items are labeled and tracked via RFID for quick and accurate data collection throughout the supply chain. 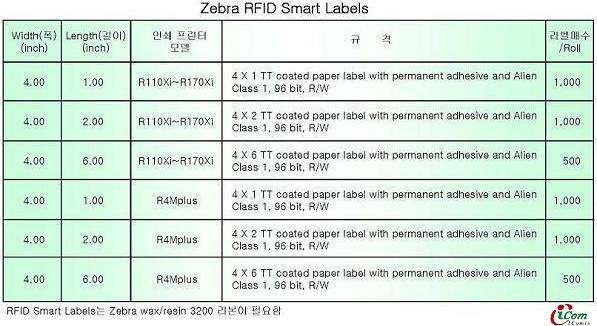 T4M/SL4M RFID 프린터 산업용 및 상업용 응용프로그램을 위한 RFID 프린터의 Printronix SmartLine 시리즈 신뢰성, 지속성 및 의존성에 관한 Printronix 명성을 바탕으로, SL4M은 고성능 SL5000r 프린터 및 SLPA8000r 고속 프린터 애플리케이터에서 발견되는 MP2 인코딩 기술과 PSA3 고급 전자 구조를 사용. 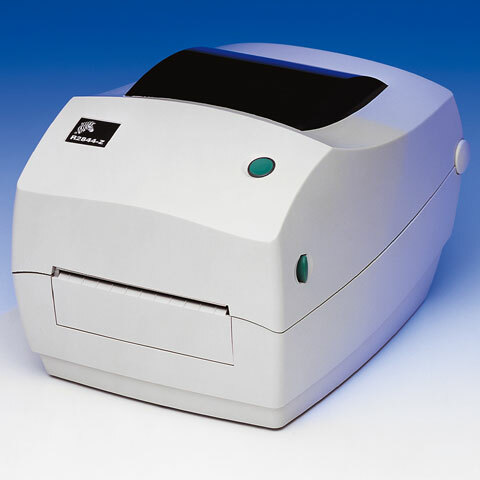 The SL5000r is the next generation family of RFID printers. These printers feature Printronix 5r leadership-by-design and RFID Smart encoding technology to address a wide range of applications and global frequency requirements. EPCglobal Class 0, 0+, 1, Gen 2* and Philips 1.19 standards and global frequency requirements. The widest range of thermal printer emulations allows for easy consolidation of multiple thermal printer brands reducing maintenance costs and configuration time. PowerPC controller and new high-performance 5r driver deliver industry-leading throughput for more efficient applications. The SL5000r RFID printers are compatible with EPCglobal Class 1 Gen 2* smart labels via a free firmware update. All SL5000r printers feature intelligent RFID tag management that identifies and overstrikes substandard RFID smart labels preventing them from entering your supply chain. RFID labels used in a RFID printer are a critical element of the RFID printer system. Label design, specification and selection are of utmost importance. Printronix, with its years of experience in design of printers and their applications, has developed certified RFID labels that maximize the performance of your Printronix RFID printer and label yield.